Foreign Policy: When Bad Art Meets Bad Politics Foreign Policy's Joshua Keating takes a look at political statues around the world that are, for lack of better words, pretty terrible. Take a look at these larger than life figures that are unfortunately set in stone. View of the statue depicting Edgar Hernandez — the five years old boy who became ill with Influenza A H1N1 -swine flu- past April and survived — on August 18, 2009 in La Gloria. The statue was unveiled on August 16 in his native town La Gloria, in the state of Veracruz, Mexico. Swine-flu boy: When he grows up, Edgar Hernández might want to be known as something other than "Patient Zero," the first human to contract the H1N1 virus, which went on kill more than 14,000 people around the world. 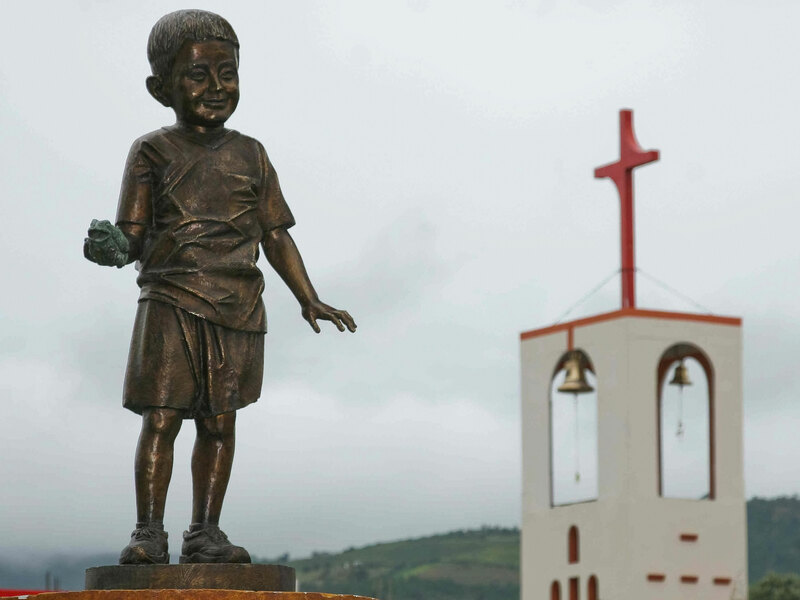 But La Gloria, the small village in eastern Mexico where six-year-old Edgar lives, is determined to remember his contribution (and bring in tourists) and has erected this statue in his honor. The statue is based on another infamous, but much older work of public art, Belgium's urinating Manneken Pis. For more statues from around the world, take a look at the rest of Foreign Policy's slide show.